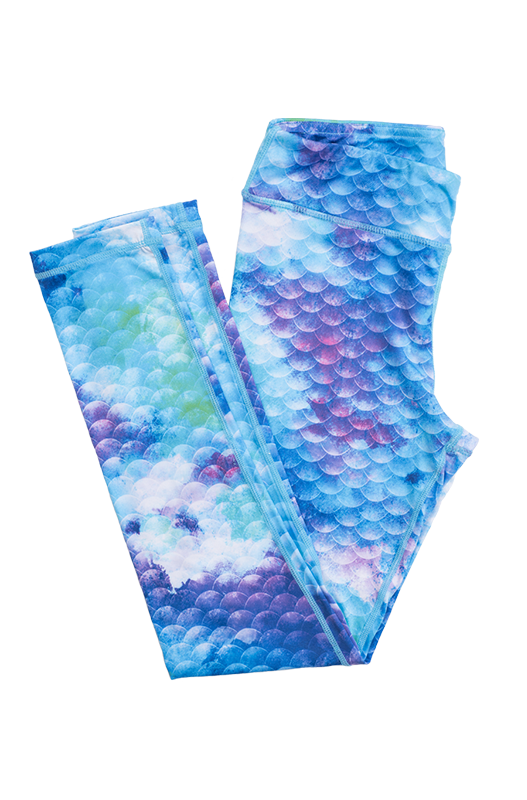 Turn your next workout into a masterpiece with these Watercolor leggings from Fin Fun! 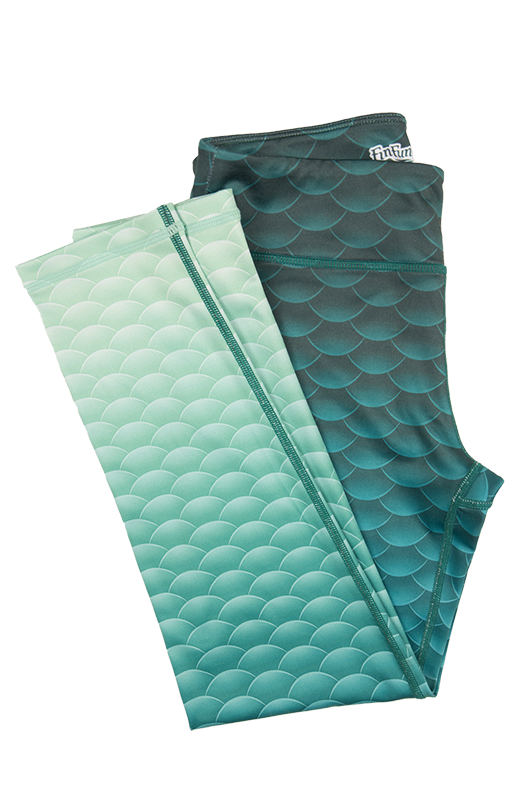 Featuring a sea-riffic palette of breathtaking blue, green, and purple hues in a mermaid-scale pattern, these leggings will quickly become your favorite yoga pants to wear year-round. 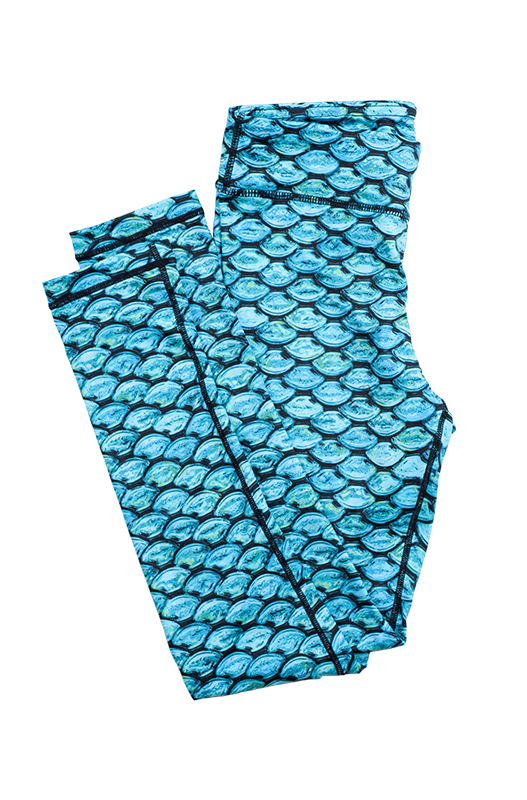 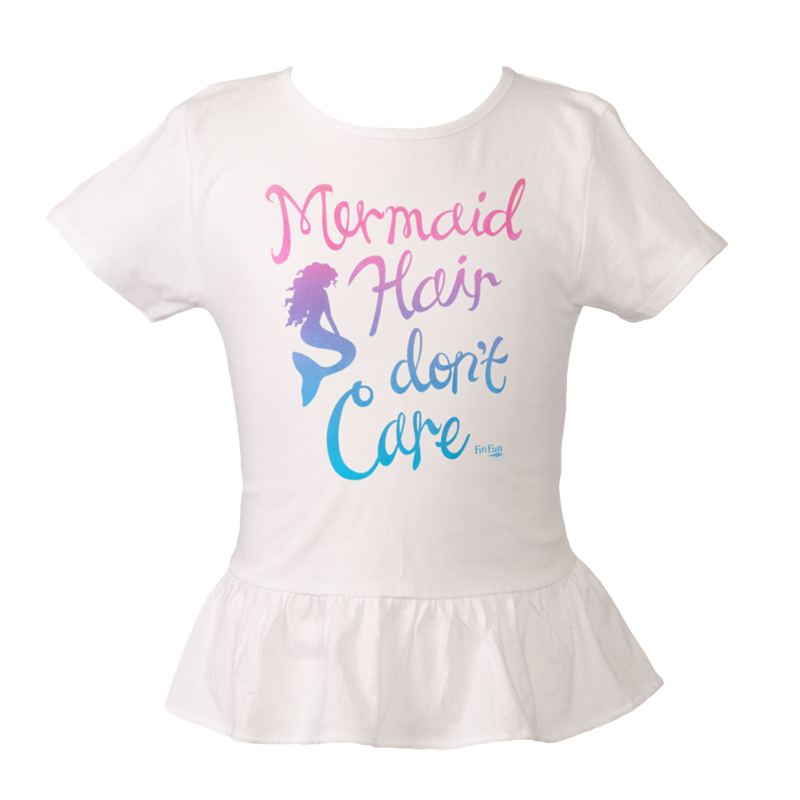 You’ll adore how the super-soft fabric feels upon your legs, making it the perfect choice for lounging, too. 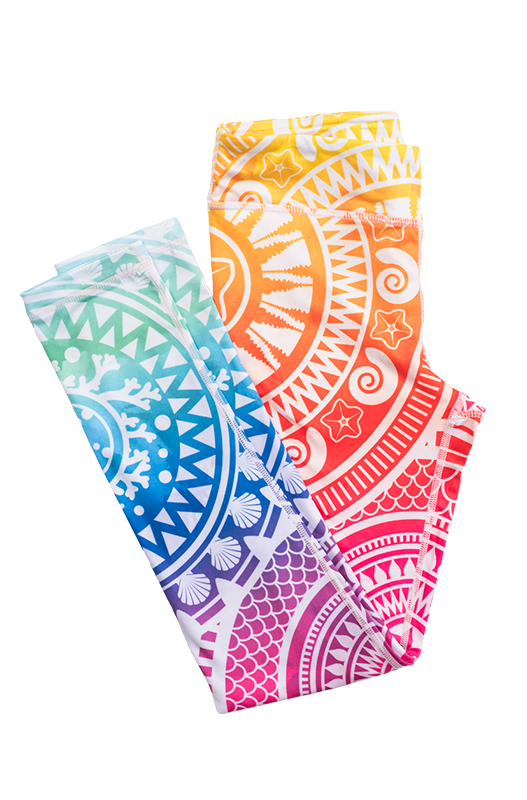 Look artistic without a paintbrush in hand wearing these leggings with your favorite oversized tee or tank top.